It’s a chicken–no, it’s a turkey–wait…it’s a guinea fowl! Guinea fowl are among the most misunderstood of all the birds you might own on your homestead. They have received a bad rap over the years, namely for their noisy nature and tendency to wander, but they also host a considerable amount of benefits for the average farm. 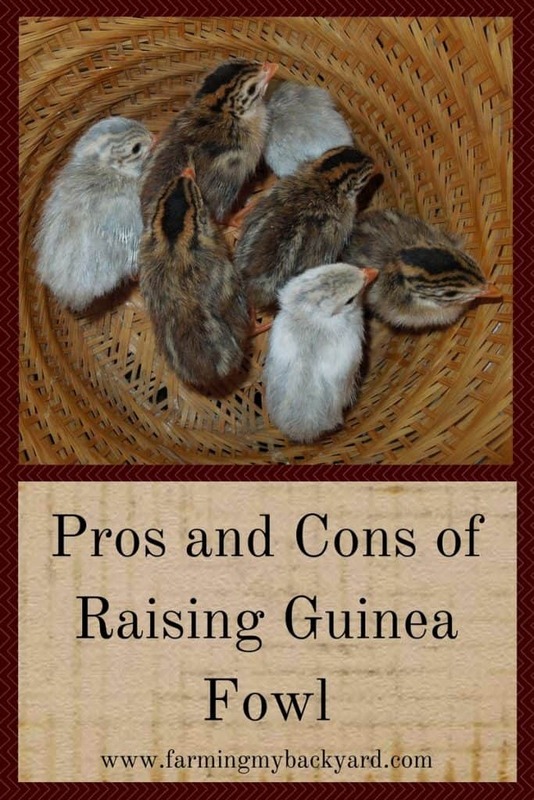 If you’re thinking about raising guinea fowl, you should consider the following pros and cons. They provide free pest control. Most people decide to raise guinea fowl because they are great at keeping down the tick population. They also eat most bugs that are known to ravage your garden, as well as snakes, rats, and Asian lady beetles. Owning guinea fowl allows you inexpensive pest control without having to use harmful pesticides or repellents. Guinea fowl roam all over the place, and can eliminate any pest problem you might have. You may already own chickens to help cut down or even eliminate your tick problem. However, to truly eradicate a pest you need birds that free range. 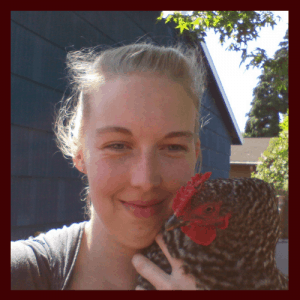 Free ranging chickens can wreak havoc on a garden, nibbling your vegetables, scratching, and pecking as they dwindle down your tick population. This can become more of a problem than the ticks or other pests ever were! Guinea fowl, on the other hand, won’t destroy your garden. They will still dust bathe and may occasionally peck at your garden, but are far less destructive. They create tasty eggs and meat. Females produce small eggs, slightly smaller but similar in taste to chicken eggs. A typical guinea hen will lay around sixty eggs a year if free ranged, and up to twenty if kept in a more controlled setting. Because guinea fowl don’t overwinter well, many people also kill off their flock at the end of the summer. Guinea meat is delicious and tastes similar to pheasant. They act as free security guards. Guinea fowl are known to be loud, and will alert you to any intruders. They make loud, distinctive calls, and will sound off at anything that seems remotely unwelcomed. This might include predators or any unwanted visitors. Guinea fowl are also incredibly brazen, and have been known to actually attack predators as well. They are loyal and protective. Guinea fowl aren’t the brightest, but they do look out for each other. They tend to move as a pack, and will protect each other relentlessly. While they do have a tendency to bully each other, this usually doesn’t cause any lasting damage to your flock. Because guinea fowl will roost wherever they want to, you don’t have any coop or nest boxes to clean. Score! They are easy and cheap to feed. You can purchase supplemental feed, but guinea fowl will obtain most of their required nutrients through the act of foraging. They rarely fall sick or experience the flock-devastating diseases that chickens do. Remember how we mentioned guinea fowl will alert you to intruders? They will also alert you when family members visit, or the delivery man, or if the wind blows in a certain way. They have a call that can only be described as annoying. They have a blatant disregard for borders. Chickens are normally more cautious creatures–don’t expect your guinea fowl to behave like chickens. Guinea fowl roam around and have a total disregard for where home is. They don’t necessarily roost in the same spot and will not live in a coop. You may need to invest in a high fencing system (keep in mind they can fly over most fencing) to prevent them from venturing into the road or over to your neighbor’s. Guinea fowl, like chickens or geese, can also be aggressive. Their violence extends past the species, too, and you may find them attacking your roosters or other animals. They will need to figure out a pecking order, especially if you add or remove individual fowl. They can be incredibly cruel to each other until they figure this out. They sleep, nest, and dwell wherever they’d like. If you live on a more urban homestead, or have close neighbors, you will want to consider your guinea fowl purchase very carefully. Guinea fowl have no regard for where home is, and you need to accept the fact that they will go wherever they please. Even if you live far away from the closest neighbor, remember that your guinea fowl may just up and leave, never to return again. Similarly, if you plan on keeping their eggs, you have your work cut out for you. Guinea hens will not lay in your chickens’ nest boxes, and will in fact lay wherever they feel like it. You may find guinea eggs in the woods, or under a car. This can be tough if you plan to raise keets from these eggs. Guinea hens are notoriously fickle and while they may become broody and nest, they might not. They are also known to abandon their young after they have hatched, making them unreliable mothers. They live a really long time. If you can keep them around long enough, guinea fowl can live up to fifteen years. That makes them a serious investment. If you plan to eat them, you don’t need to worry about this factor, but it’s something to keep in mind as you plan. They have a high fertility rate. Again, this isn’t totally relevant if you don’t plan on keeping your fowl for a long time. However, guinea fowl have a high fertility rate and, unlike chickens, tend to mate in pairs. If you already own livestock, you already know the pure, gut-busting joy of watching your animals doing…animal things. But guinea fowl are particularly funny. They are silly and provide a free source of entertainment just when they’re flying around looking for bugs. If you’re considering investing in guinea fowl, don’t hesitate. There may be a few disadvantages to owning them, but the same could be said of any livestock. Guinea fowl make a bright addition to any homestead–no matter how goofy they might be. Can you clip their wings so they can’t fly away? If you do, will that affect how they are able to roost and maybe compromise their safety? I’m really liking the tick control but not sure I want to deal with the noise…..
I’ve heard from others that you can trim their wings, but it does leave them vulnerable to predators. Have had a back yard pearl headed male guinea for 5 yrs. He goes in his coop at night. It has a full length mirror turned sideways, a night light, heat lamp in winter and a fan in the summer also with food and water in there as he tends to not like rainy weather. He does not want the squirrels, pigeons, or anything else in his home. I live in the City with no fence. I do have 6 chickens in pens and when I let him out he stays and protects my yard near the chicken pens. And yes he does know where the property line is somehow. He is a good flyer and will fly on top of carport to get me out the back door if something upsets him. His name is Vinney the City Guinea and I’m only 3 blocks from Co Courthouse and busy streets. When I call him, he answers with chirps and loves looking at himself in mirrors. I worked with him a lot. He was grown when given to me. I do believe had I gotten him as a baby guinea, that he would have been easier to train. Also he understand my commands maybe from the tone of my voice. Love my Vinney but one is enough and he is beautiful.